During the 19th century, Ireland saw a rapid increase in unemployment. Thousands suffered in poverty, and were often regarded as “permanent deadweight”, “feckless”, or a “redundant” population. Because so many were desperate for jobs, employers were able to reduce wages even further – far below the proper acceptable level – leaving even the employed in dire straits. This left much of the population looking abroad for relief. Most had family or friends in America, and these fortunate folks often had their fares paid. There was a sizeable group, however, that had neither the connections nor the finances to move. These poorest of the poor turned to England and Scotland for jobs. Before long, however, the English government became alarmed at the prospect of thousands of migrant paupers pouring across the borders and negatively affecting the native labour conditions. The British job market was already overloaded with English workers, and there were simply not enough resources to provide for the Irish influx. Thus, a plan was conceived to fund assisted emigration programs. The British government and poor law unions along with independent philanthropists and landlords conspired to pay the fares of 300,000 of the most destitute in Ireland. Those sent abroad were typically able-bodied workers who simply could not find employment at home. These primarily included workhouse paupers, single women, and landless agricultural labourers. This group was overwhelmingly Catholic, and made up nearly 10% of the total migration. A number of schemes were implemented, and each saw varying degrees of success. Some colonies such as New Zealand and Australia were desperate to attract skilled immigrants, and offered money or land grants to any Irish who chose to emigrate. Most, however, were sent to North America. Conditions varied greatly for the newly arrived emigrants. Many struggled enormously, finding conditions abroad little better than back in Ireland. Some programs, however, were very successful. A program led by Peter Robinson, for example, stands out as a highly successful venture. 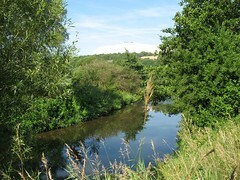 A select group of Irish emigrants was chosen from a number of estates in County Cork, as well as a few from estates in the southeast of Ireland. Stringent rules required emigrants to be Roman Catholic peasants under the age of 45. Roughly 300 families were selected, and each emigrant was given 70 acres of land in Canada’s Ottowa Valley. Emigrants would be required to pay an annual quit rent to the Crown at a rate of 2 pence per acre; however, each emigrant was provided with needed supplies, including food, seed corn and potatoes, cattle, and tools for building and farming. Log cabins were even constructed and clearings made on each settler’s land grant. By contrast, other programs were significantly less successful. Those implemented during the Great Famine created the greatest hardships, as many schemes were enforced by landlords on unwilling evicted tenants. These were poorly funded ventures which generated great difficulty for both the emigrants and the host nations. Overall, however, a great many of these assisted emigrants went on to prosper in their new homes. Despite the difficulties they faced, many made the courageous choices necessary and established prosperous settlements for following generations. In 1905, the Liberal Government passed the Unemployed Workmen’s Act. The initiative had been inherited from the previous Conservative administration, and the goal of the program was to provide assistance for unemployed workmen throughout the country. The Act was based on the establishment of Distress Committees in metropolitan boroughs with a population of over 50,000 residents. Each Distress Committee throughout England, Scotland and Ireland would be responsible for setting up public work schemes, as well as providing assistance for families to relocate in order to find employment (either elsewhere in the country or abroad). The government threw its full weight behind the program, putting a huge contribution into the scheme. Queen Alexandra was also fully supportive of the act, and raised over £153,000 from private donors to support the various enterprises. Each Distress Committee was entrusted with the responsibility of helping unemployed workers with small cash handouts or with temporary work. Grants were given to select businesses and local authorities, enabling them to hire more workers; however, applicants had to meet a stringent set of requirements. “Proper cases” would be thrifty and of “good character;” they could not have a previous criminal record, and they could not have received poor law assistance. The Act also made provision for unemployed workmen and their dependents to migrate or emigrate in order to find work. Distress Committees could refer unemployed individuals to the “Central Body”, who would assist with emigration or migration as needed. Of course, there were conditions in place governing the emigration of any unemployed worker and his family. They would need to meet specific age and fitness requirements, as well as certain qualifications showing employability in agriculture, forestry, husbandry, horticulture, breeding livestock, or growing fruits and vegetables. Those who met the requirements would receive assistance in relocating and finding employment abroad. In some cases, the unemployed person would agree to repay the Central Body in part or in full for the sum expended for relocation. This was not a requirement, and it’s unclear how many emigrants actually repaid the Central Body for provided assistance. The Central Body was required to report to the Local Government Board at the end of each month. Details were provided on each person who had been aided to emigrate. Despite its obvious flaws and failings, the Unemployed Workmen’s Act of 1905 was a step in the right direction. It raised public awareness of the problem of unemployment and started a serious discourse on the topic in government circles. If you know more about this Act and can enhance this article, please comment accordingly – Ed. Throughout much of the early 19th century, emigration assistance for women was directed almost entirely toward women working in domestic service. Domestic working women were in high demand throughout the colonies, thus, emigration societies and organizations largely focused their efforts on “matrimonial colonization”, helping women who fit this domestic profile. There were, however, a substantial number of women in England who had a decent education and were suited for more than basic domestic labour. Unfortunately, these educated women were finding employment opportunities scarce at home. In the colonies, however, there was a dire need for such women. By the middle of the 19th century, emigration societies began to realize that this neglected group of women was in need of help. The need came to the foreground when a Miss Maria S. Rye published a paper entitled “The Colonies and their Requirements.” She drew attention to the serious plight of young, educated women who were consigned to English workhouses for want of more appropriate employment. She posed the poignant question, “Are women to perish simply because they are women?” Her viewpoints were soon republished by The English Woman’s Journal, and then printed in pamphlet form by Emily Faithful. With the help and support of friends, Maria Rye began to act on her convictions. She sent her first group of educated women to Melbourne, Sydney and Natal, where they were met by local supporters and settled in posts of employment. These early emigrants were soon publishing letters of their own in The English Woman’s Journal, pointing to the great success of Maria Rye’s initial venture. The small success so bolstered Miss Rye’s convictions that she began to appeal to the general public for funds to establish a larger permanent emigration scheme. An appeal was published in The Times, and soon Miss Rye had received over £500 in public support. With the funds raised, Maria Rye launched “The Female Middle Class Emigration Society” in May of 1862. The Society opened its first and only office at 12 Portugal Street, sharing a building with the offices of The English Woman’s Journal. To approved applicants, the Society offered interest-free loans that could be repaid over a period of 28 months. Correspondents were set up in the various colonial ports where young women might choose to travel, so that wherever the women went, there would be someone there to greet them. Maria Rye joined the first party which set out for New Zealand in late 1862. She dedicated the next couple of years to studying the conditions in greater depth, leaving her friend, Jane E. Lewin in charge of the Society. By the time Miss Rye returned to England in 1865, she had set her sights on the emigration of children; thus, Miss Lewin ended up running the Society for the duration of its existence. While the FMCES never became a large or wealthy organization, it did assist quite a number of middle class women in their emigration efforts. In 1886, the FMCES was officially absorbed into the Colonial Emigration Society. There has long been much coming and going between Ireland and England. In fact, historians note that a scattering of Irish names existed in Liverpool as early as 1378. However, it was when Liverpool gained prominence as a port city that it became the primary access point for Irish immigrants as they made their way to England. The Irish population in England grew gradually through the 19th century. Many poor labourers, drovers and artisans emigrated due to economic reasons. They weren’t the only ones, however. Middle class Irish moved in and made their mark on the history of Liverpool. Michael Whitty, for example, founded the Liverpool Fire Brigade and the Liverpool Daily Post. William Brown was another prominent figure, who financed the building of the public library. But the situation took a drastic downturn during the tragic Potato Famine which stretched from1846 to 1852. A succession of the worst potato crop failures led to massive poverty and starvation in Ireland. The potato was a staple food of the poor, especially in winter, and the loss of the crops was devastating. Over one million people lost their lives over the course of the famine. The Irish escaped in droves, with approximately 1.3 million immigrants passing through the port in Liverpool. Though a substantial Irish population already existed in England, the enormous influx deeply impacted the city of Liverpool. Many immigrants saw Liverpool as a stepping stone on their way to the United States; however, a large number ended up staying on, making their homes in Liverpool. By the end of the famine in 1851, there were some 90,000 Irish born and living in Liverpool. In fact, the Irish immigrants made up about 25 percent of the town’s population. Those that stayed in Liverpool gravitated toward established Irish communities. The Irish community developed predominantly around St. Anthony’s Church in Liverpool. Further Catholic churches quickly sprung up throughout the 19th century, providing a ballast for the droves of Irish immigrants. Unfortunately, the Irish who arrived in Liverpool were starving, weak and extremely vulnerable. Certain groups sprung up almost immediately and found an easy livelihood taking the little money the immigrants possessed upon arriving on the Mersey docks. Many of the Irish immigrants quickly moved on; however, those who stayed near the docks were at great risk and were often preyed upon by the unsavoury characters. Conditions worsened as the enormous volume of immigrants quickly exceeded the available housing and employment. The sanitary system was taxed to its limit – as was the Poor Law system. Liverpool taxpayers quickly became disgruntled, feeling that the immigrants were overburdening the Poor Law system. Many Irish workers were forced to take low-paid, labour-intense jobs at the docks, processing plants, in the chemical industries, and as warehouse and construction workers. Irish women found even fewer opportunities, and were relegated to low-level jobs like hawking box chips and crushed sandstone residue. To compound matters, typhus, dysentery and cholera swept through the population with epidemics so severe that floating hospitals and fever sheds were built along the Mersey. The overcrowded living quarters were breeding grounds for disease, and despite numerous attempts to improve sanitary conditions, “Irish Fever” persisted. In fact, at that time, life expectancy in the dock areas of Liverpool fell to the lowest in the country. 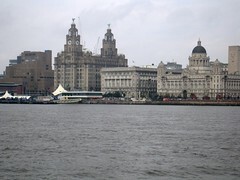 Eventually, the Irish came to dominate the Liverpool docks, and in fact had quite an impact on how the port developed. As Liverpool became a prominent port city, efficiency on the docks was a priority, and Irish dock workers played a huge role in making that possible. Irish “lumpers” loaded and unloaded cargo on the ships. Irish “carters” carted tobacco between the port and various private warehouses. Around 1900 Irish porters were employed in warehouses on the Liverpool docks. The Irish were involved with dock construction on the Mersey, and many found work as stevedores, sailors and ship’s firemen. All-in-all, Liverpool just might not be the place it is today without the influence of the great Irish migration. The impact of the Irish on the city as a whole can still be felt today. After all, a couple of the most famous fellows to come out of Liverpool – John Lennon and Paul McCartney – do carry Irish surnames. By the beginning of the 17th century, there was already a significant Scottish presence in Ireland. From the late 1200’s to the 1500s, Scottish mercenaries known as “gallowglass” had been brought over by Irish leaders to supplement their own armies. The gallowglass were typically paid with clan land from the clan chief they had served. Naturally, they settled in Ireland, bringing with them such Scottish names as MacSweeny and MacDowell. During the 16th century a new wave of Scottish mercenaries flooded into Ireland from the Isles and Highlands; however, this group was paid in currency rather than land, and most returned to Scotland. A branch of the Macdonnell clan didn’t leave. They instead settled in the northeast corner of Ulster (in modern day Antrim county), and quickly dominated the region politically. The government in Dublin viewed this Scottish settlement as a serious threat, however, and in 1556 legislation was passed banning all Scots from Ireland. A mere 50-odd years later, James VI of Scotland ascended the thrones of England and Ireland, bringing an about-face in the Irish perspective on Scottish settlers. Knowing that Northern Ireland was typically hostile to English rule, James conceived the idea of a Protestant colony as a means of establishing the royal hold on the region. James found his opportunity when the Roman Catholic Earls of Tyrone and Tyrconnell fled Ireland to take refuge in France. Their lands were quickly seized by the crown and divided up amongst new owners. These seized lands included the counties of Antrim, Down, Fermanagh, Tyrone, Coleraine (later renamed Londonderry), and Donegal. Plans were drawn up, dividing the counties into precincts, and each of those precincts was assigned to Irish servitors or English or Scottish undertakers (so called because they “undertook” the commission of building fortifications and establishing settlements). By 1610, the Scots were awarded nine separate precincts. Greater nobles received up to 3000 acres of profitable land, while fifty Scottish chiefs received grants of 1000-2000 acres. The government hand-picked each recipient to ensure that the noblemen had the means to meet the costs of establishing a profitable settlement. In 1630, a military muster was conducted, and these records show the progress of the various settlements. Certain precincts, such as those in Donegal, had seen little to no growth by the time of the muster. Elsewhere, however, small communities of Lowland Scots were established and thriving. According to the muster of 1630, the adult Scottish population of Ulster had nearly reached 14,000. Though no surveys were conducted in the years after the muster of 1630, the incoming Scots established a strong presence not only in Ulster, but also further afield. Counties Cork, Mayo, Sligo, and Wexford all show signs of a significant Scottish presence at the time. In fact, so strong was Scottish establishment in Ireland that they posed a serious threat to Charles I when he faced disputes with the Scots in the late 1630s. Those very disputes brought Scottish migration to a near halt for almost a decade. When Charles tried to force the Prayer Book of the Church of England on them, denying the Scots their own form of worship, many simply pulled up stakes and went home. Charles added insult to injury in 1638 by demanding that Scots in Ulster take “The Black Oath” – a solemn vow to never take up arms against the King. Many sorely insulted Scots simply chose to return to Scotland rather than being subjected to Charles’ whims. Finally, in 1641 an Irish rebellion broke out. Men, women and children were slaughtered, and many survivors rushed to return to Scotland. In 1642, however, ten thousand Scottish soldiers flooded in to quash the rebellion. Thousands of the soldiers stayed on in Ireland, renewing the Scottish population. It is estimated that in all, as many as 200,000 Scots crossed the North Channel throughout the 17th century, though not all remained or survived. Exact figures vary greatly; however we know that Scottish presence throughout the time of the Restoration was substantial. Sir William Petty estimated the Scottish population to be around 100,000 in 1672, and that number continued to grow significantly until around 1715. For much of the 16th century, Ulster was a wild and wooly place. The region was thickly wooded, scarcely developed, and (according to the English) under populated. Early attempts at settlement (circa 1570) were unsuccessful, and until the region was conquered during the Nine Years War in the 1590s, it was primarily inhabited by nomadic Gaelic Irish. Permanent residences were scarce, and bloody skirmishes between clans and between the Gaelic and the English led to a very sparse population. In fact, by 1600, the total population of Ulster hovered as low as 25,000. The English gradually broke the power of the clan chieftains as they conquered Ireland piece by piece throughout the 16th century. The Gaelic chieftains led by Hugh O’Neill surrendered to the English in 1603, and were granted generous land and terms under the Treaty of Mellifont. A few short years later, however, O’Neill and other rebel chieftains fled Ireland in the hopes of raising Spanish support for a new rebellion. The English government saw this as an opportunity to colonize and “civilize” the region, and promptly seized the rebel lands. The original plan was to award grants of land to Irish lords who had sided with the English during the war; however, after the rebellion in 1608, those plans quickly changed. King James VI and his counselors conceived of the Plantation of Ulster and a joint English and Scottish venture. King James wanted to reward his subjects in Scotland, where he had once reigned before becoming King of England. Thus, plans were made for the plantation of six counties in Ulster: Armagh, Cavan, Coleraine, Donegal, Fermanagh, and Tyrone. The plan was to establish strong settlements to bring stability to the region. James wanted to prevent further rebellion, and to that purpose, he confiscated not only rebel lands, but all the land in the region. The majority of the land was granted to wealthy English and Scottish “Undertakers” (so named for “undertaking” the plantation of the region). A quarter of the land was awarded to select Irish landowners (or Planters); however, Irish peasants were relocated to live near British garrisons and Protestant churches. All Undertakers and Planters were granted up to 3000 acres of profitable land (not mountains or bogs), but they were held to specific terms. They were strictly barred from selling any lands to Irishmen, and were required to bring a minimum of 48 English-speaking, Protestant adult males to settle on their land. They were also required to build defenses, in the hopes of establishing a strongly loyal British community that could successfully stand up to any future Irish rebellion. Eventually, veterans of the Nine Years War requested and were granted lands of their own in Ulster. These officers had limited resources to fund their colonization, however, so their establishment was subsidized by London guilds. From 1606 on, a substantial number of lowland Scots moved into the Ulster settlements. Many of the initial settlers were led by James Hamilton and Hugh Montgomery. Sir Randall MacDonnell soon followed in 1607, bringing 300 Presbyterian Scots to settle on his lands in Antrim. 1609 brought a veritable flood of English and Scottish settlers into Ulster, as Undertakers populated their estates and the surrounding regions. As immigrants came through the Londonderry and Carrickfergus ports, some didn’t like the land that was allotted to them, and instead struck out to build farms and homesteads, further populating the virgin territory. By 1622, the Scottish and English population in Ireland had grown significantly, numbering around 19,000 throughout Ulster, Antrim and Down. By the 1630s, that number was as high as 80,000. Since roughly half the immigrants were female, the settler population was able to grow even faster. Because settlements were under threat by roving bandits, military garrisons and fortified towns sprung up fairly quickly. Interestingly, most modern towns in the Ulster region date back to this period of plantation. Those early settlers left a legacy that continues to this day. The Plantation of Ulster is arguably the source of much of the bad blood that exists between Irish Catholics and British Protestants today. Many Scottish names can be traced back to the early settlers (though Protestant/Catholic beliefs are poor indicator of heritage). And finally, the Plantation settlers contributed many words to the Ulster dialect that are still in use today.